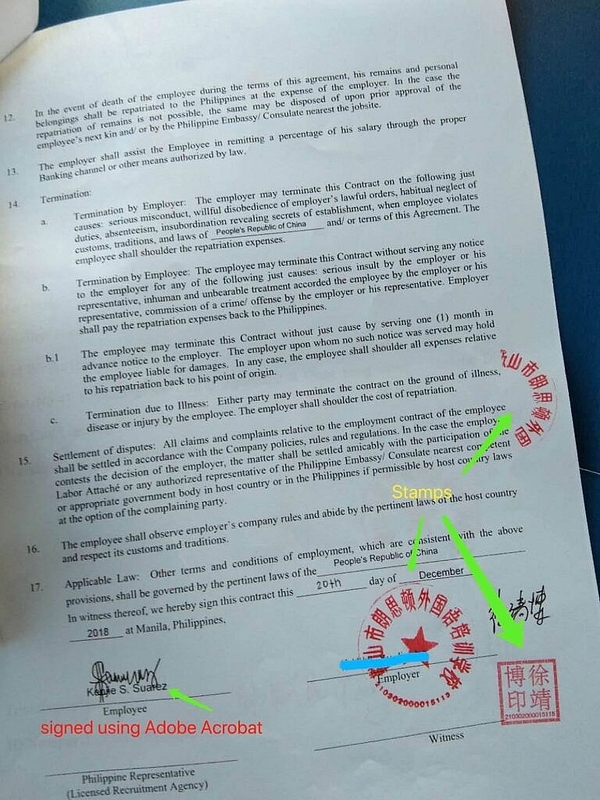 Original employment contract verified or authenticated by the Philippine Embassy in Beijing, each page signed by employer or its authorized representative. PRC License or TESOL if you are a non-education graduate. If you have an urgent need of TESOL certificate, contact me right now! Business License. Tell your employer to find a translator to translate his business license into English. Chinese Resident ID. This is an official identity document for personal identification in the People’s Republic of China. It contains a unique 18-digit Citizen Identity Number. I told him to translate his Chinese ID as well. School Stamp. It is the red seal you see on my contract. 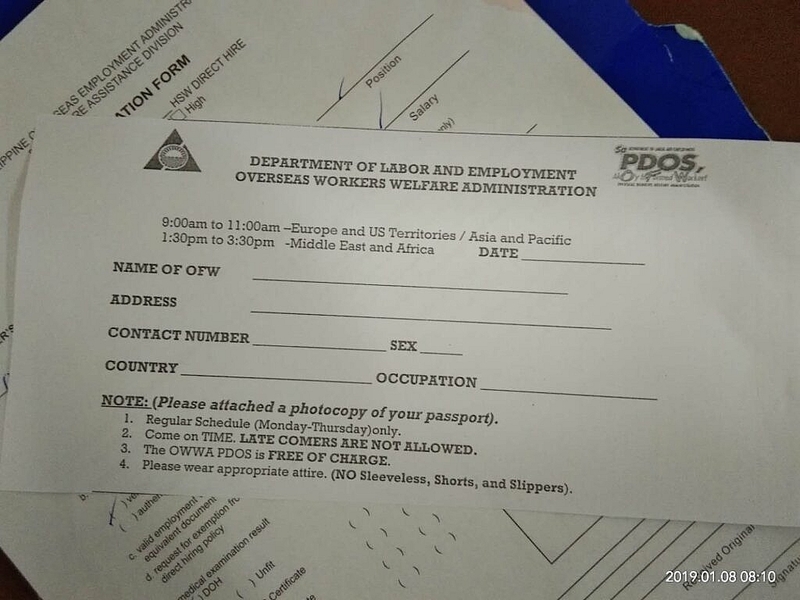 Your employer will use it to stamp the contract in front of the embassy officer. (Back to the future). He then photocopied (in colored format) his business license and his Chinese ID. 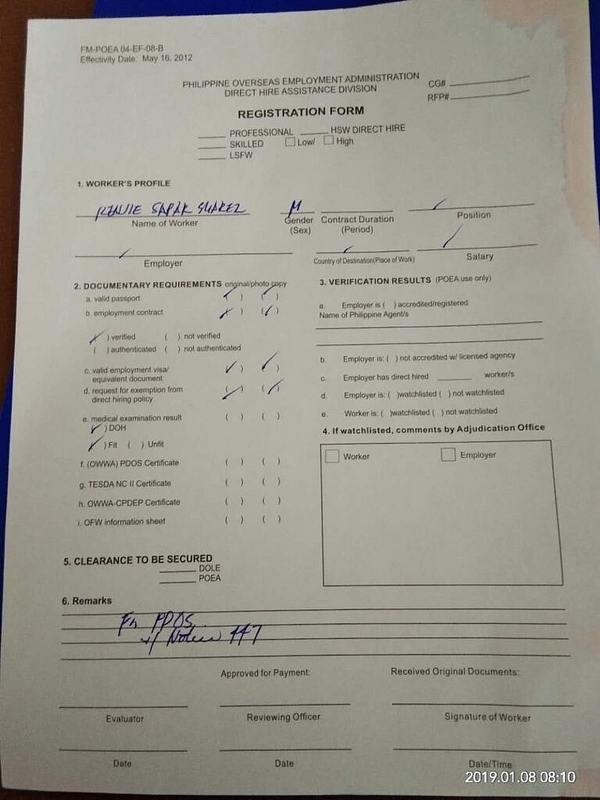 One bond paper accommodates his Chinese ID and its English translation. The same holds true with his business license. The translator’s name, signature, and Chinese ID number, must be affixed right below each translated document. There is no need to photocopy the translator’s Chinese ID number. 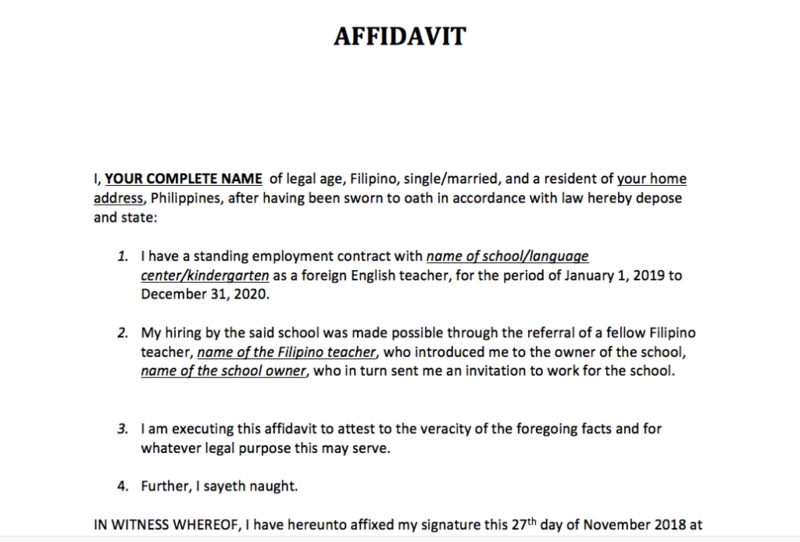 Your employer/authorized representative must be willing to go through the steps necessary to get you a Philippine Embassy-authenticated (red-ribbon) employment contract. (There’s no POLO in China.) Your employer (in my case, the actual investor/owner) has to personally go to Beijing to get your employment contract authenticated. I had told him before he went to Beijing to also bring a copy of the company profile. It was a piece of cake for him since its English version is readily available. I seriously thought the company profile would be included in the documents to be red-ribboned, but it turned out to be not the case. 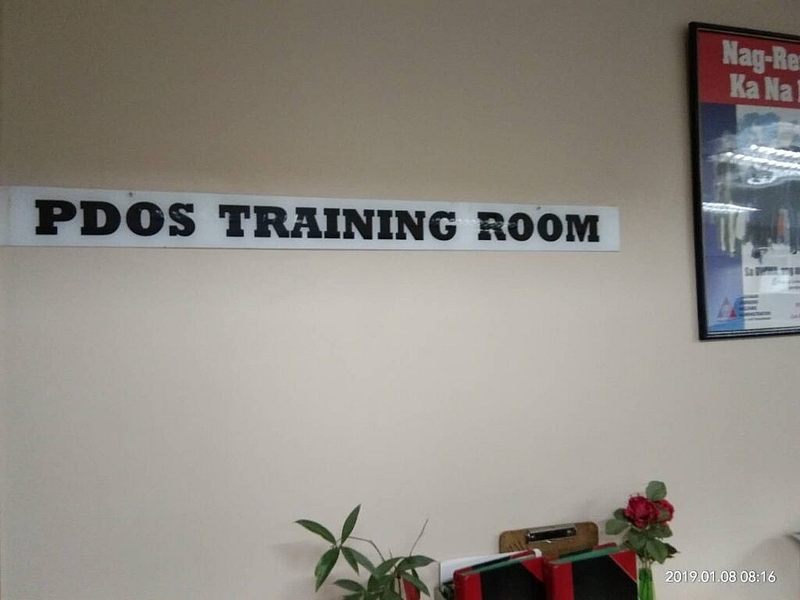 By the way, as long as all documents are complete, authentication at the Philippine Embassy in Beijing should be quite easy. The contract authentication was finished within hours. 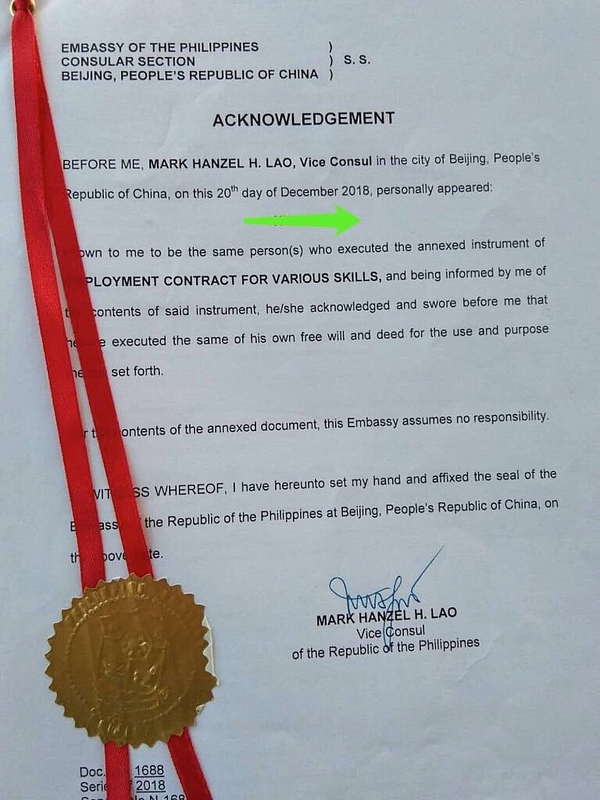 He then sent me (via DHL) the company profile (colored and in a separate file), and the employment contract, business license and Chinese ID (translated and red-stamped), now all together bounded by a red-ribbon. 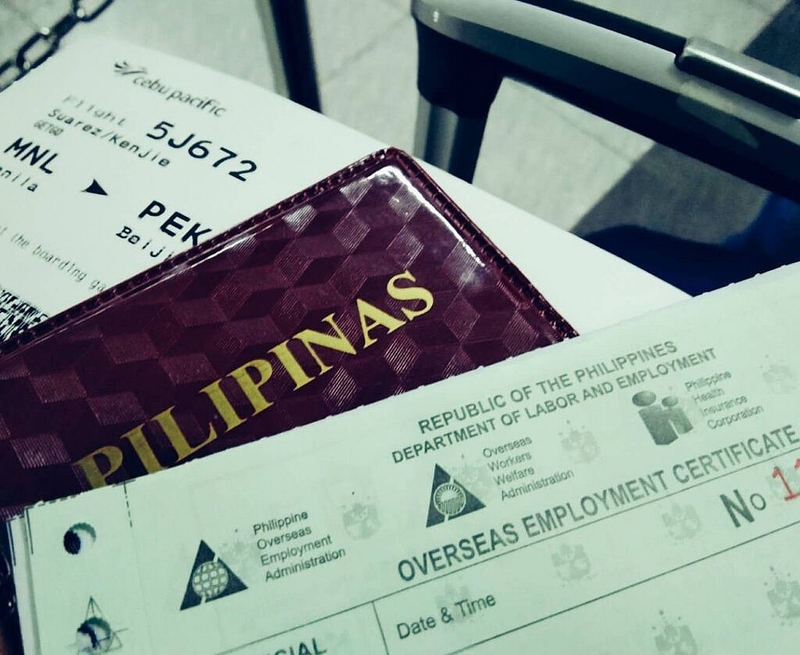 Back to the Philippines, the following documents should be with you by now. And you probably are wondering what to do with those. 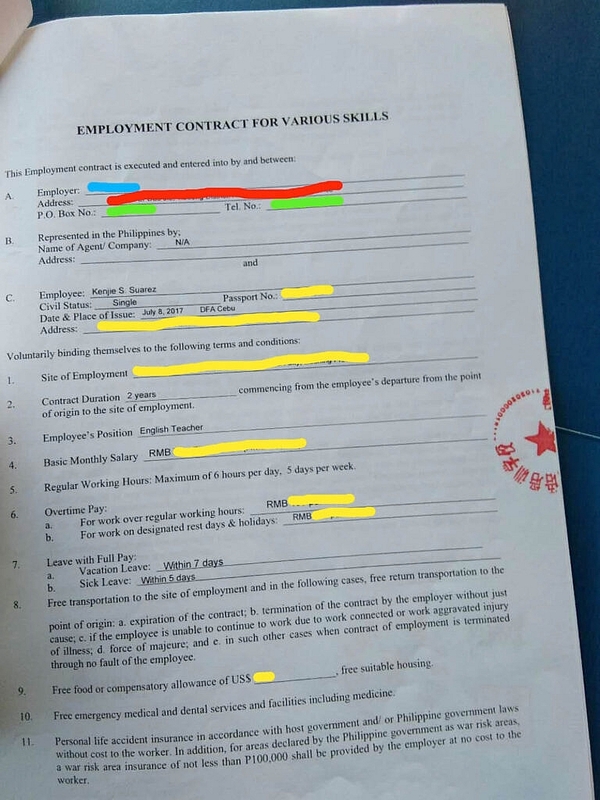 Employment contract from the Philippine Embassy in Beijing. Certificate of Employment. (COE from your previous employers). PRC license or TESOL certificate. 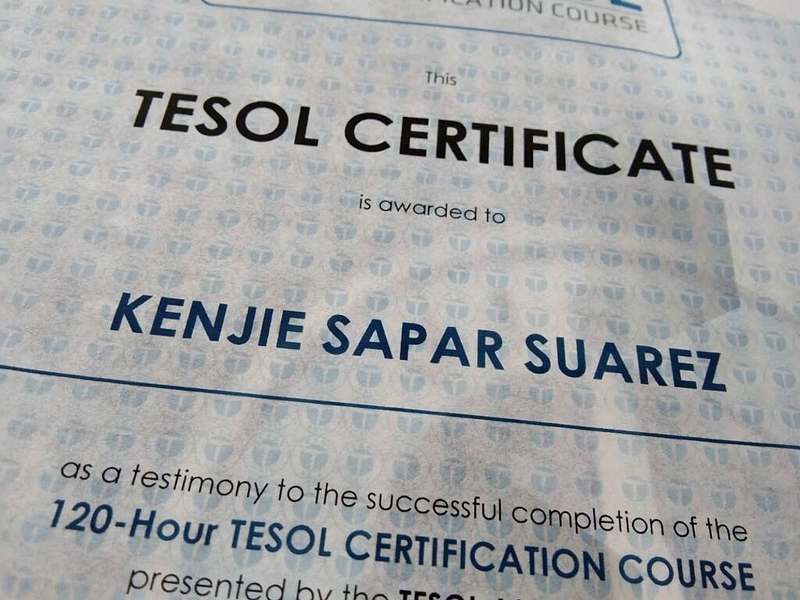 (If you need a TESOL certificate, I can help). 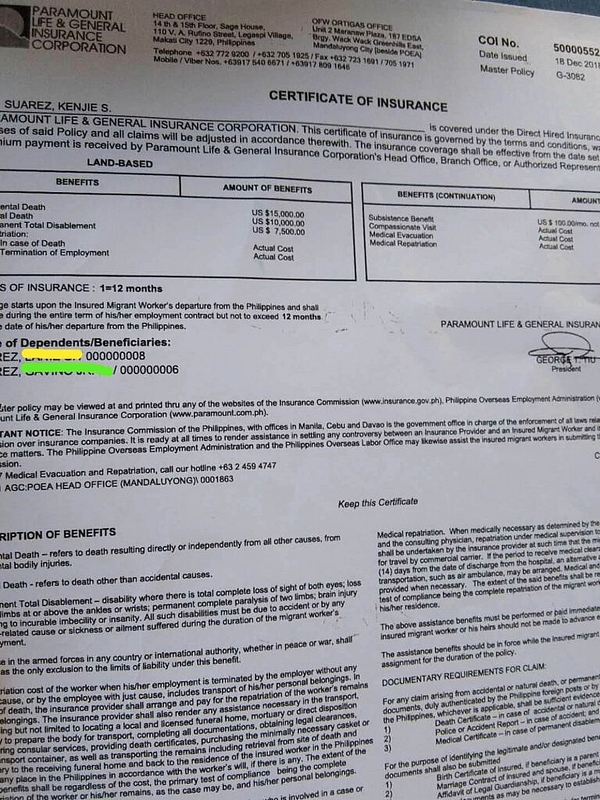 Proof of Certificate of Insurance. 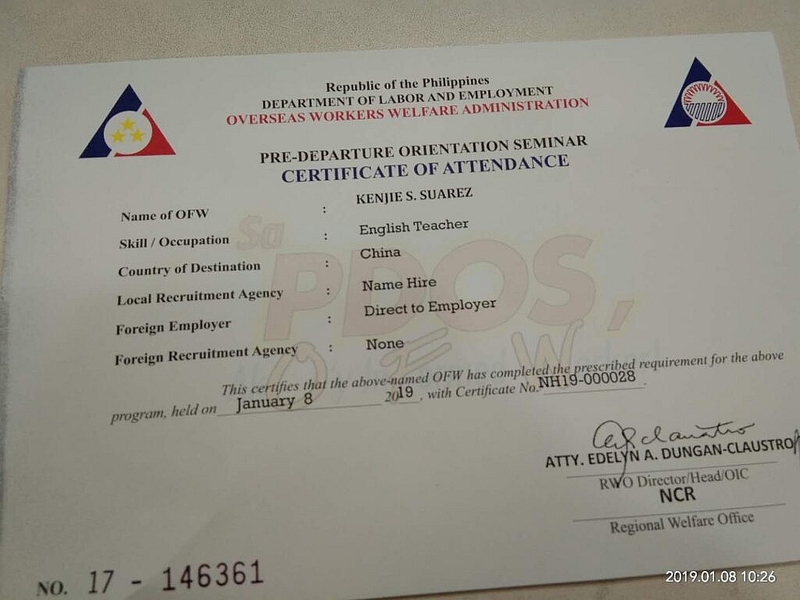 This certificate is also called OFW Compulsory Insurance. Only a couple of insurance companies are authorised to issue this certificate. Don’t worry. It is so easy to acquire. You just have to go and walk in to Paramount Life & General Insurance Corporation in which office is housed at Maranaw Plaza. 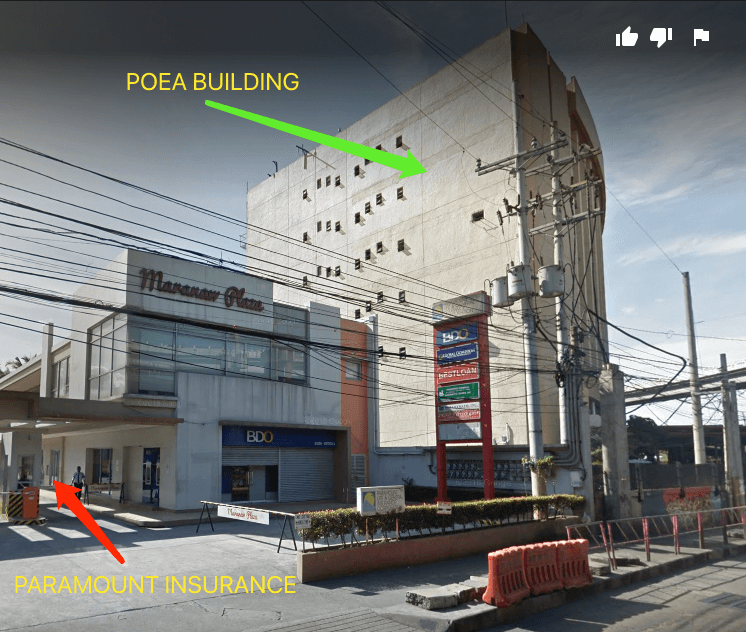 As you can see, Maranaw Plaza is located right beside POEA. They will require you to submit a photocopy of your passport, work visa, and contract. In my case, I paid $36.00 for a one-year life insurance coverage. Yes, 36 US Dollars. Given the current exchange rate, it should no more than be around Php 1,900.00. Once payment is done, you should get your certificate in no time. The total amount of time spent to get this certificate should not be more than 15 minutes. Notarized statement on how you found your job. One of the easiest documents to make. Look for a Notary Public around you. It doesn’t have to be a fancy one either. 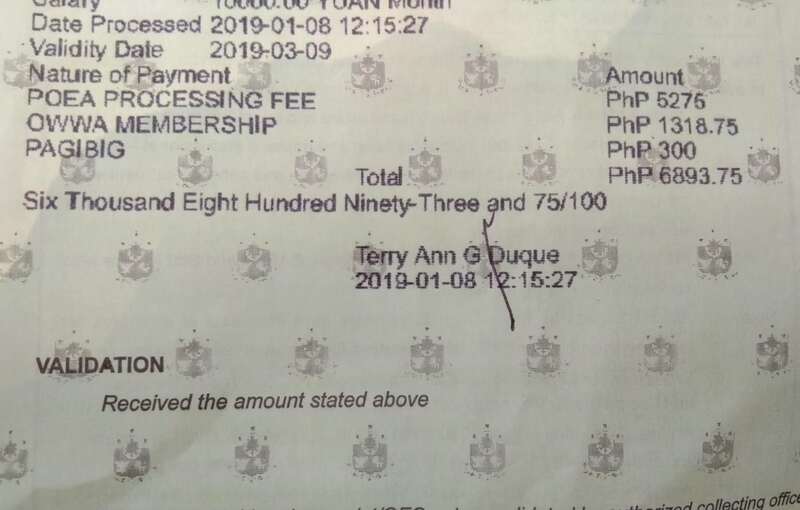 I went to Munoz Market in Quezon City, found a guy sitting behind what looked like a hundred year-old typewriter, told him what to do, paid Php 150.00, done! The body of the affidavit is what’s important. You have to state how you got to know about the job. Copy the template given above. Make necessary changes and you’re good to go. Don’t forget to staple/attach the photocopy of the translated and stamped Chinese ID of your employer as well as his contact details. For the contact details, I attached the company profile since it contains all contact details of the company such as telephone and mobile numbers, website, and email address. Yes! 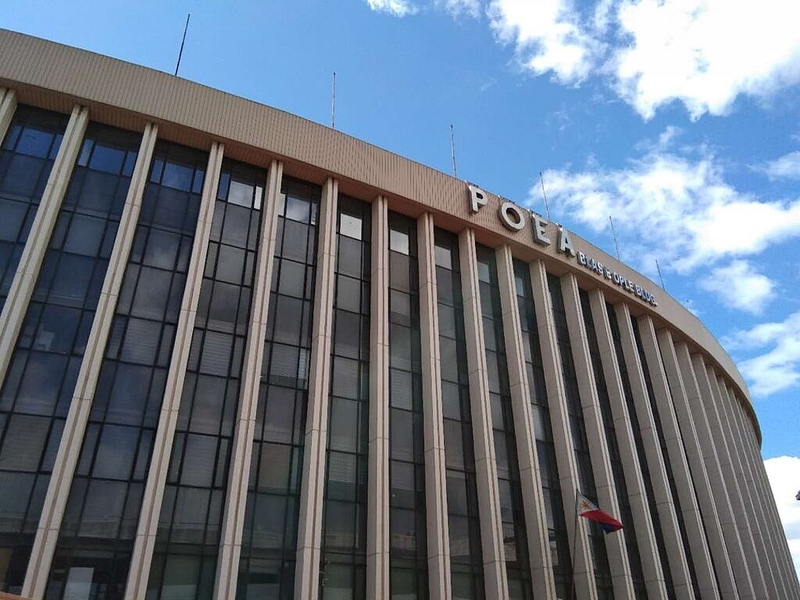 With all documents you have in your possession, you are now ready to go to POEA to submit them. You may go as early as 7 o’ clock. Around 7:30 in the morning, guards will call out and give instructions to all direct hires. And you will find yourself in one line going up to the 3rd floor where one guard awaits and hands out queue numbers. Here’s the MOST IMPORTANT: The guard will ask what’s your name, how old you are, what’s the name of your girlfriend/boyfriend, name of your dog, what are your secrets, your vital statistics! You probably must have wondered by now what’s going on and if I was serious. Of course, I’m just kidding! Let the guard know why you are there and you’re good. That’s it. 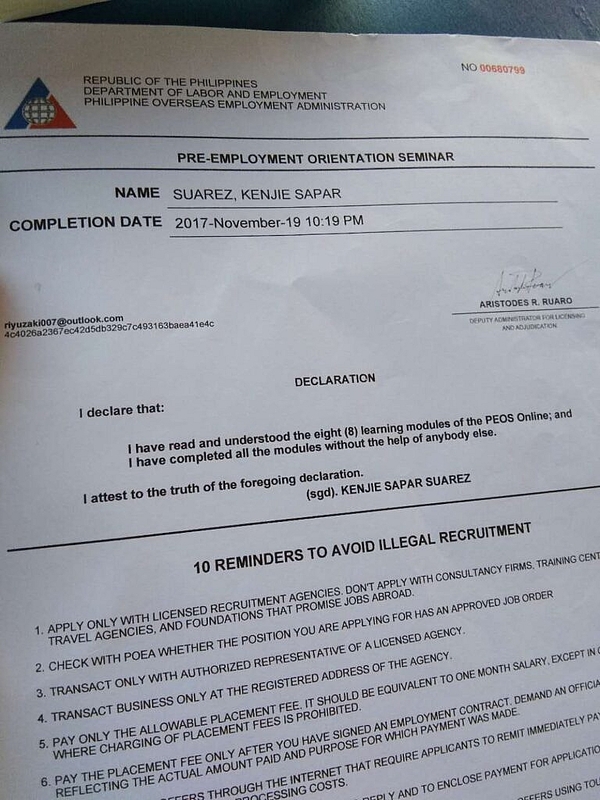 I assume you have organized your documents before stepping into POEA building. My documents were in one folder when I submitted them. 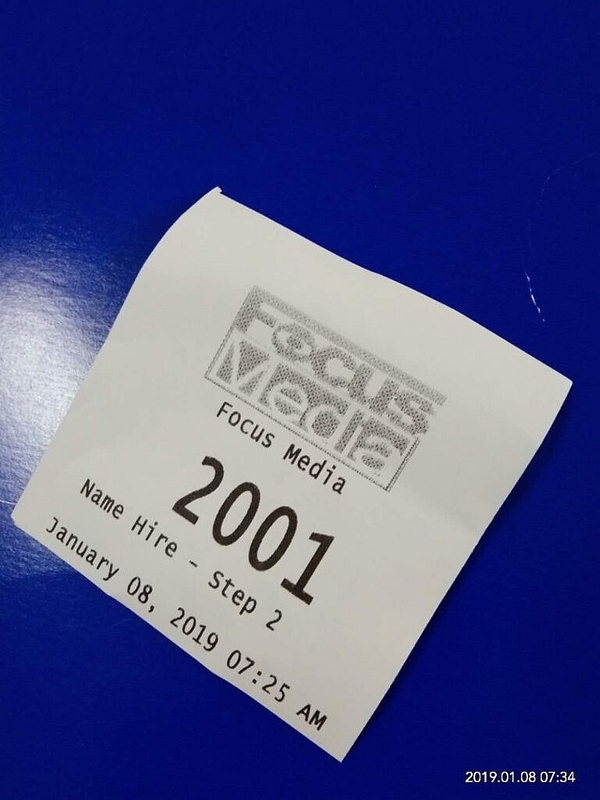 You basically have to wait until your number along with the window number flashes on the TV screen. When it happens, go to the window where it says you have to submit your documents. 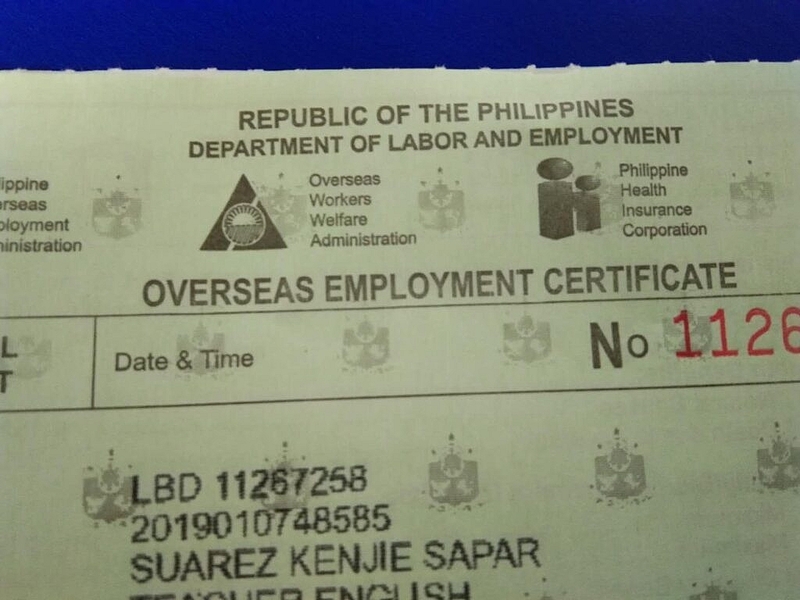 Though my passport and all other original documents were all-time ready, the lady I was with responsible for checking them only checked my original red-ribboned employment contract. She instructed me to just give her all photocopies. And I happily did. 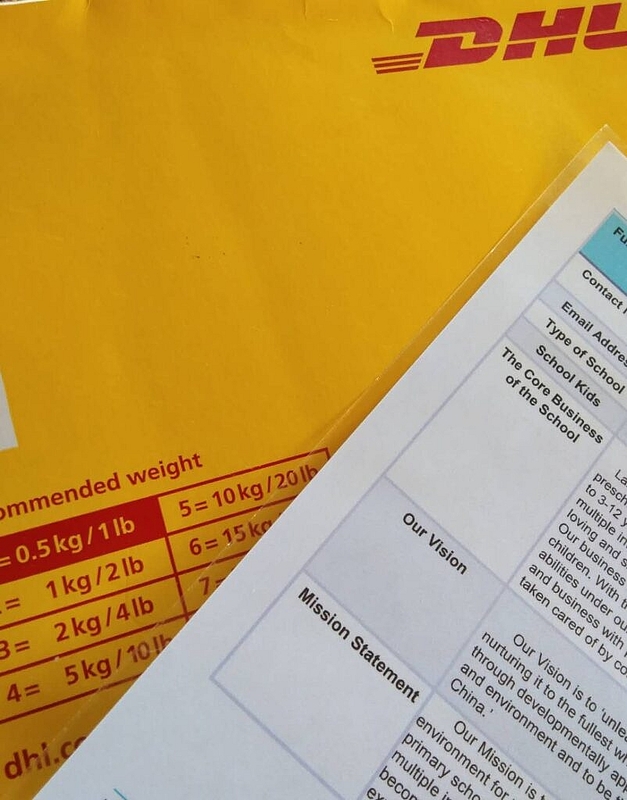 After all documents are submitted and double-checked to be complete, you will then get a copy of the checklist of requirements with instructions what to do after. 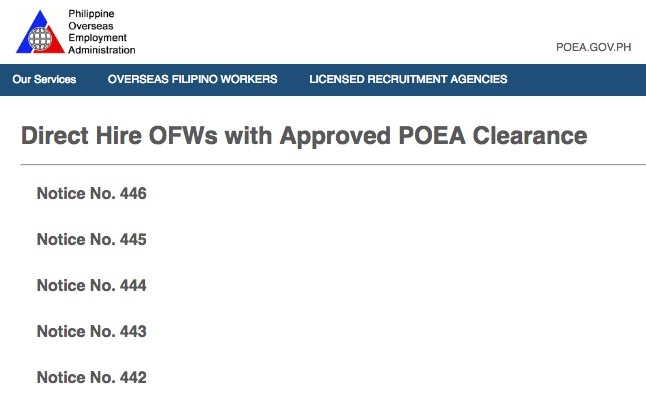 In short, you need to wait like three to five working days until you see your name on the list of direct hires with POEA Clearance. 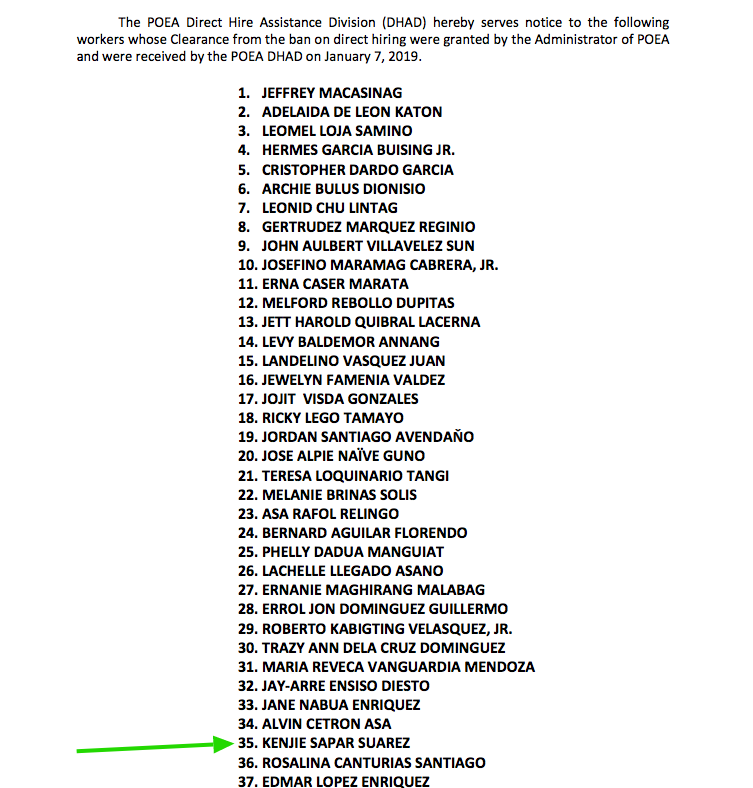 When you see your name, be happy. But surprise, surprise! You’re not done yet. You have to comply with the following yet another set of requirements. You need to create an account. 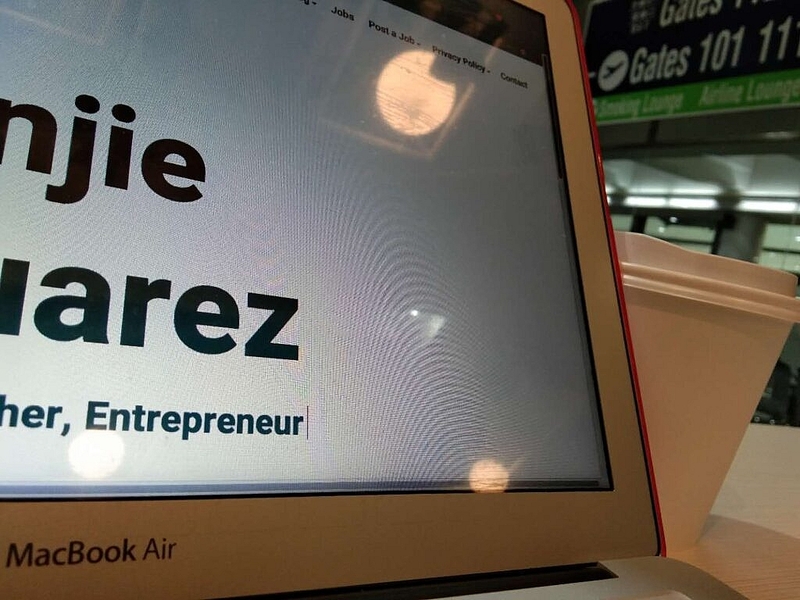 Once done, print out your profile. 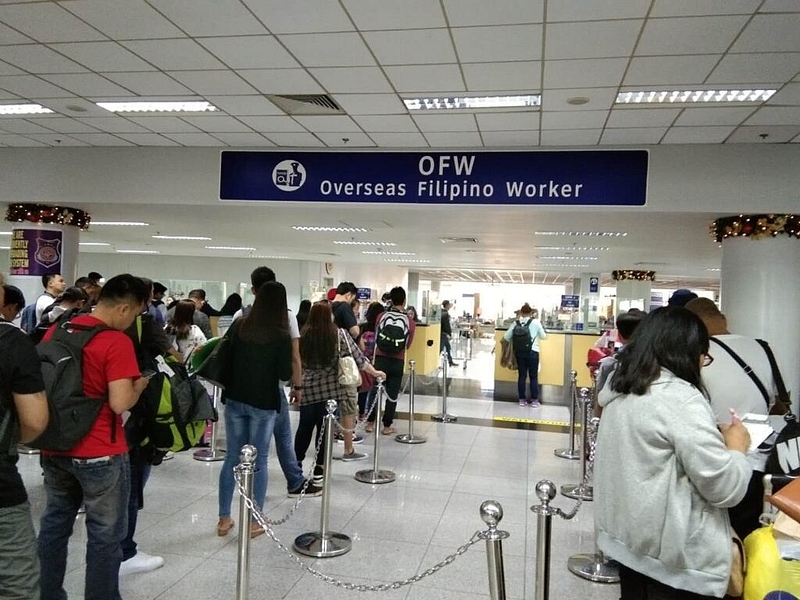 Submit a valid medical certificate issued by a DOH-accredited medical clinic authorized to conduct medical exam for OFWs. 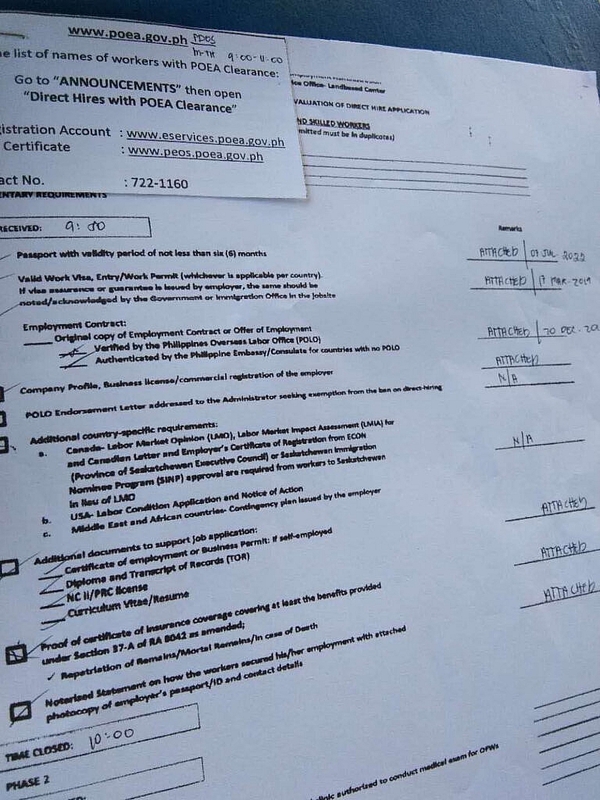 Create an account, undergo a Pre-Employment Orientation Seminar, and print out the certificate. 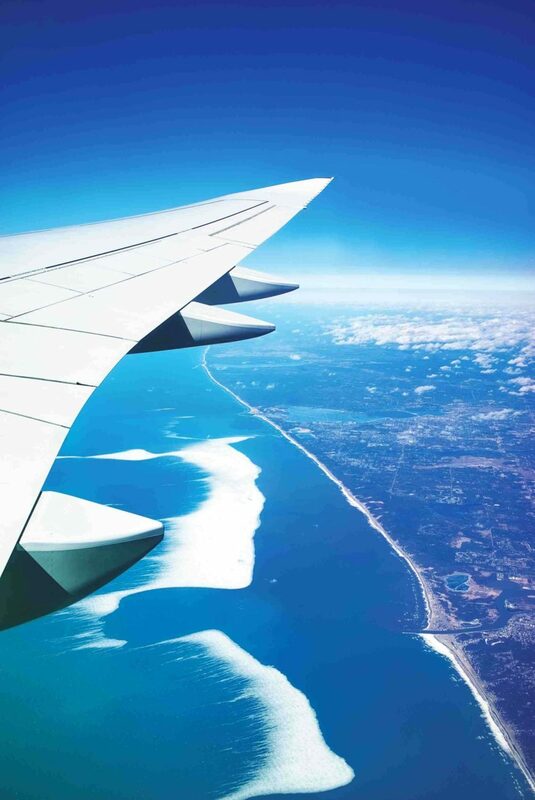 Attend the Pre-Departure Orientation Seminar. A certificate will be issued right after you have completed the seminar. 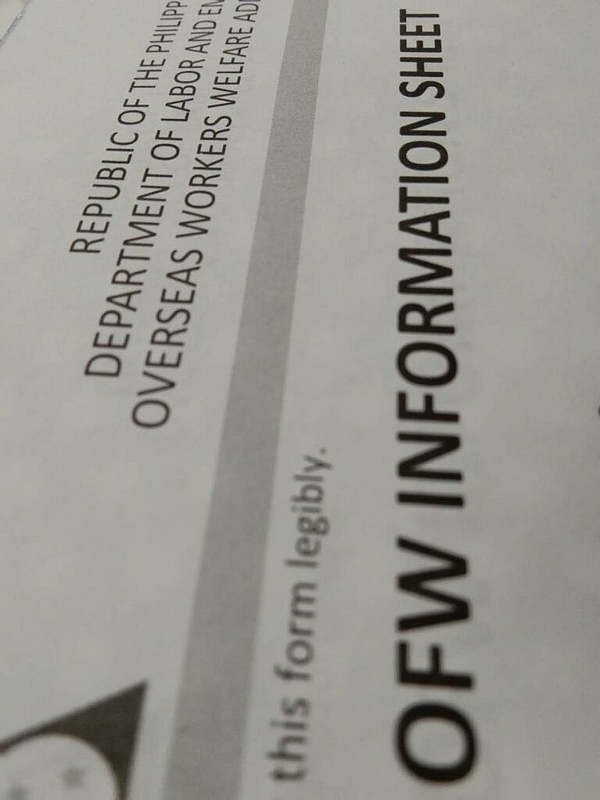 Besides, submitting the above documents, you also need to fill out the OFW Information Sheet. The Direct Hires personnel told me to wait after submission. I waited around 30 minutes until finally I heard my name being called out. I was told it’s time to make a payment. It was the final step. And it was quick. I got my OEC, finally. I exited the POEA excited on my way to airport. This is really informative sir! 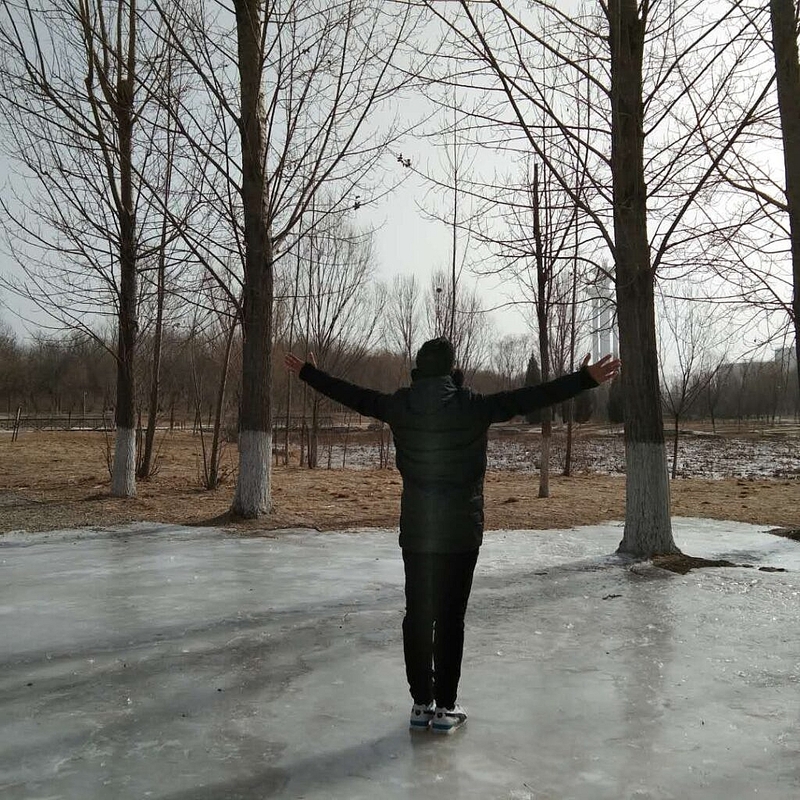 I am currently looking for a job in China and your blog just gave me a sense of direction. Thanks for this sir. I am happy to know you have found it informative. Please share my blog to your friends. Let me know what else you need help with and I will try coming up with answers. 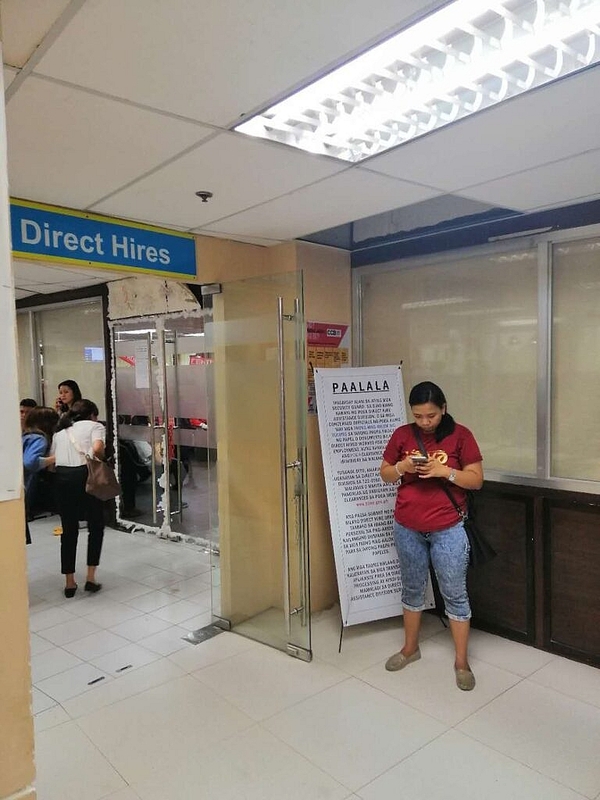 Can you do the medical and seminars while waiting for the documents for the POEA Clearance? Your medical exam is a prerequisite to getting an OEC. You can’t join the seminar if you can’t submit a medical certificate.